Guitar just arrived. Set-up is great. I have quite a collection of high end guitars with traditional bracing and French polish, etc. that I am comparing this one with and I wanted to see what this thing about double top guitars was all about. I found the volume to be very decent. Very ven sounding and nice trebles. It has very beautiful back and side woods. Great headstock design. Very easy to play, will inspire me to practice more for sure. 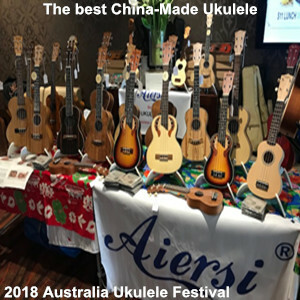 I want to say thank you to Yulong Guo for designing and building such beautiful, fine instruments. It makes me selling them much easier when customers like this one feels this good about the product he purchased from me. I want to thank Angella for all the support she has given me in buying Aiersi products. She is great to deal with. I have received several other comments about other guitars I have sold and they couldn’t be more pleasing. So far every buyer had had nothing but good compliments about the guitars I have sold them. This is a beautifully made guitar with sounds to match its appearance. 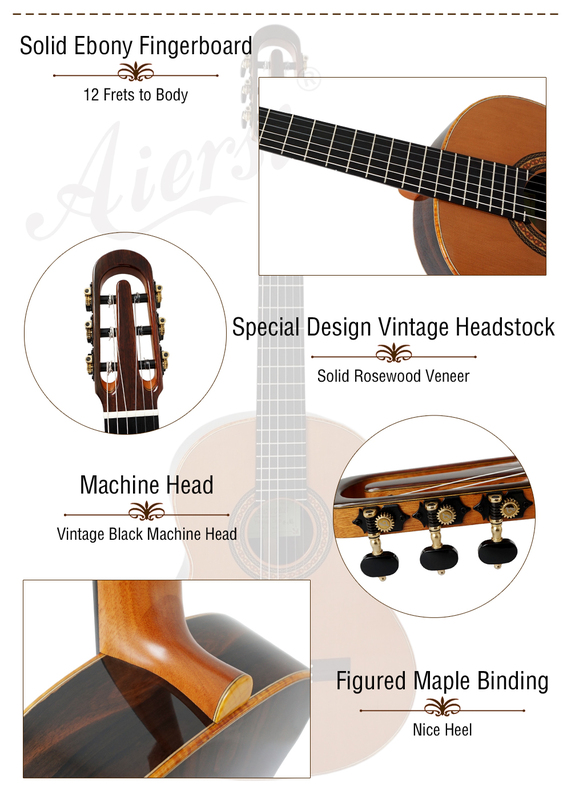 The solid spruce top produces bright, clear,and bell-like sounds with excellent sustain. The guitar and the fiberglass case it came with is of excellent quality. The fiberglass case is strong and lightweight and highly suitable for this guitar. The whole package represents excellent value. 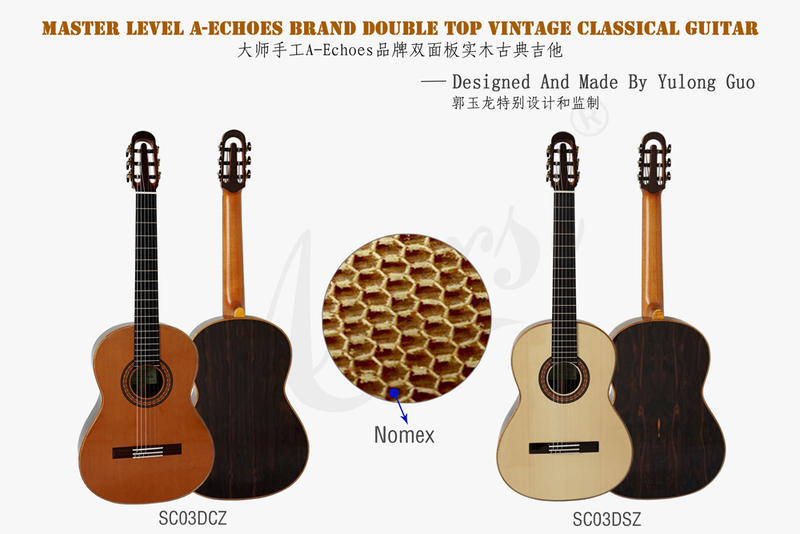 The design of Yulong Guo represents a step up from and is reminiscent grand traditional guitar makers like Torres and Hauser with superb sound, exquisite appearance, and excellent playability. Just received the guitar yesterday….. I am very satisfied with the looks, sound, and overall presentation of this guitar. It sounds amazing, having had a Soloist before, i would say that the sound is more balanced and more expressive. 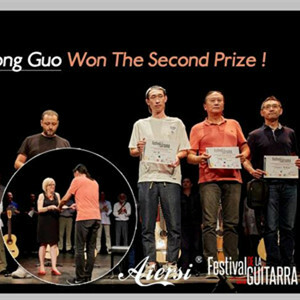 I am definitely would recommend and buy more guitars from Aiersi and Mr. Yulong’s designs. 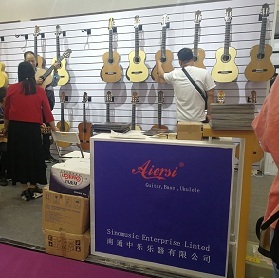 An original design and its construction is supervised by the leading luthier in China. It has a AAAA super-thin double top soundboard for maximum tone and projection. The back is solid Ziricote wood, a very attractively patterned exotic wood, and its sides are also of Ziricote, but lined on the inside with cypress wood for greater rigidity. Its De Jung tuners have a ratio of 18:1 resulting in very smooth and accurate tuning. 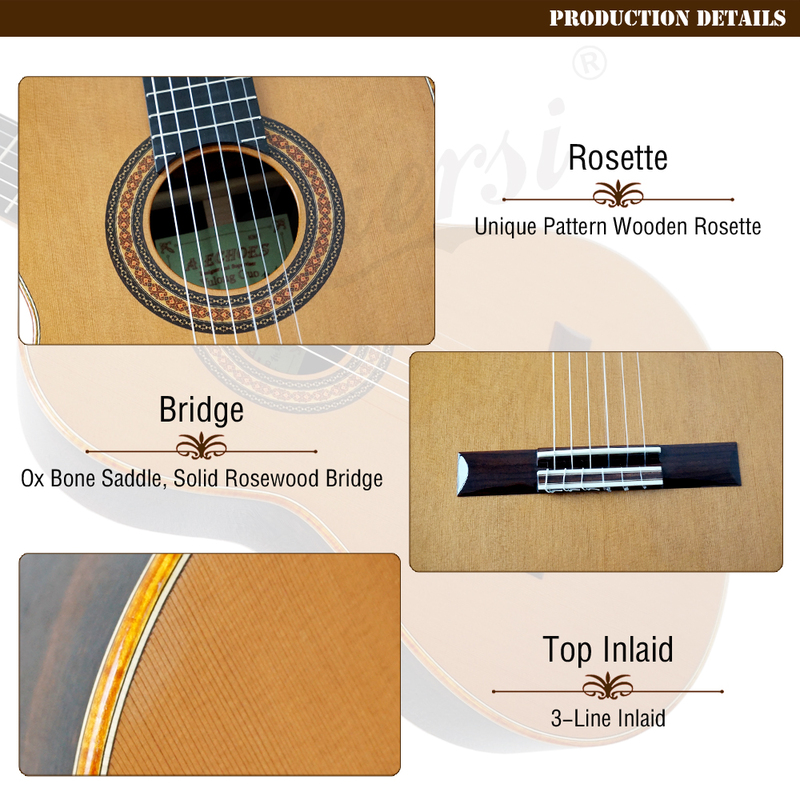 It also has a 12-hole bridge for greater string tension stability. This is an exceptional instrument of a very modern and aesthetically pleasing design and is a true concert instrument. 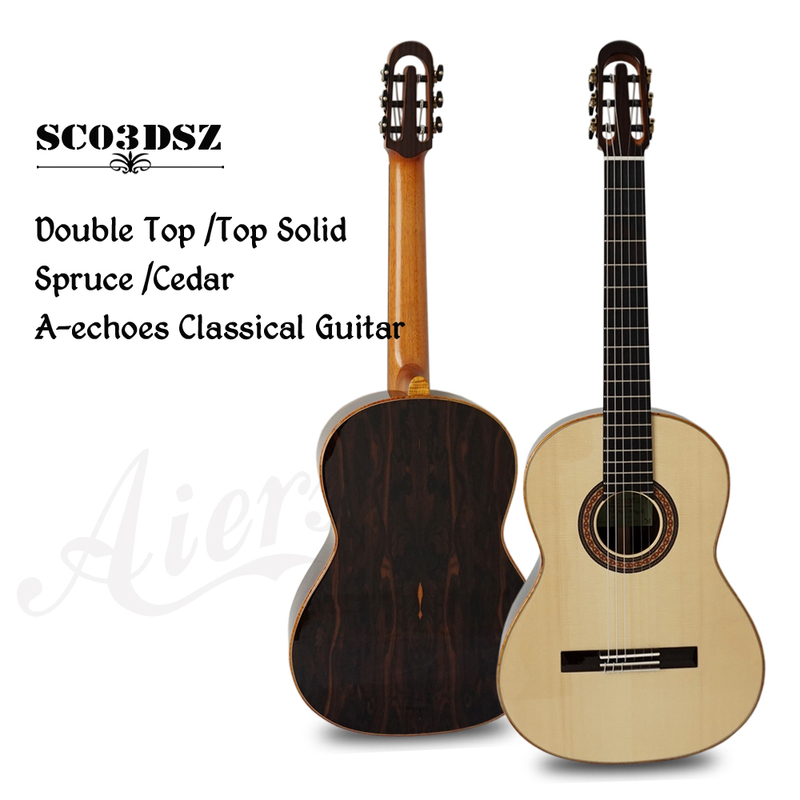 I bought a SC03DSZ(Spruce/Cedar+Solid Ziricote) model. I think this guitar is really wonderful. The louder and clearly sound is delivered farther. Super thin solid Double-Top guitar is Unbelievable! And Back and Side Solid Ziricote is very beautiful. The quality of Neck and Ebony Fingerboard is improving year by year.very good quality. I’m grateful for Ms.Angella’s sincere response. I got my cedar top A-Echoes guitar last week after about a month of waiting. The factory setup of the action needs to be adjusted down quite a bit on both the nut and saddle to suit my personal practice. 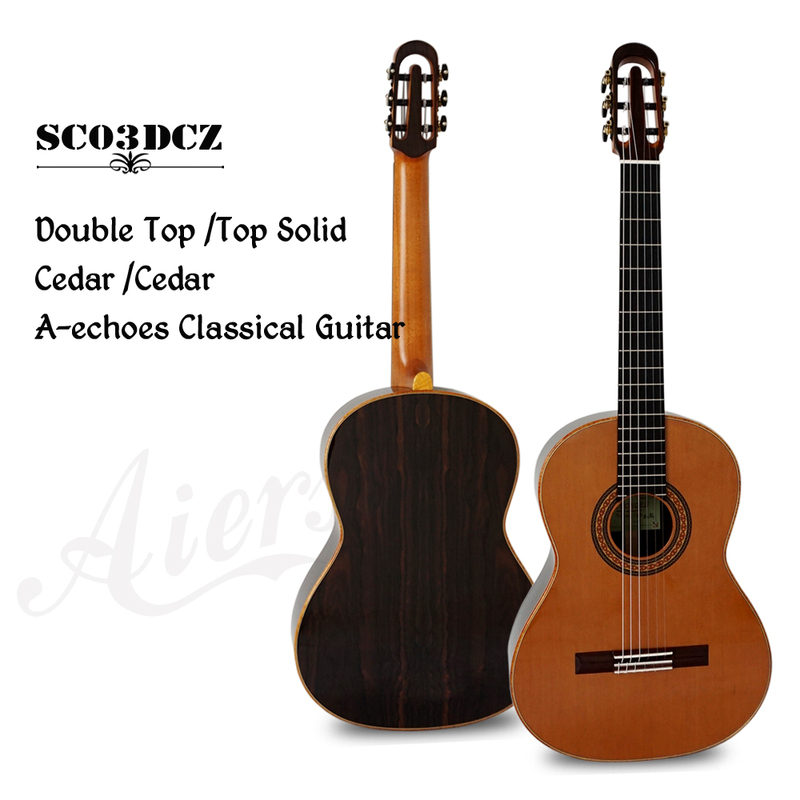 The sound of the double top design is quite different from the traditional classical guitar. Like some guitarists have put it – you will either learn to love it or hate it. It is all personal taste and preference. However, the sound of each strings are quite evenly distributed and loud, responsive to touch. The quality and workmanship of this guitar is excellent. I am quite impressed and graceful.